Chipotle’s farm-to-burrito image takes hit with another potential E. Coli outbreak. Something’s dodgy behind the burrito bar at Chipotle. 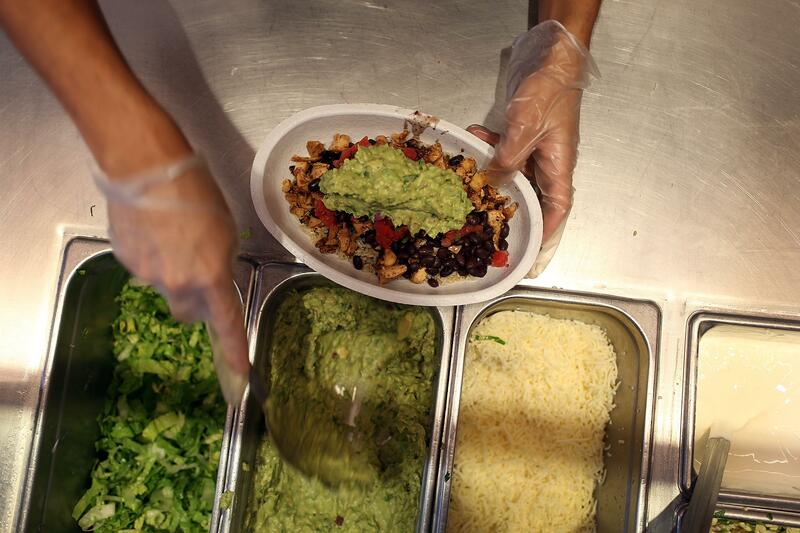 Chipotle officially has bigger problems than its lack of carnitas. The CDC on Monday announced it is investigating five new cases of E. coli linked to the restaurant that is already trying to cope with an outbreak of the bacteria that’s sickened more than 50 people across nine states. The latest cases were linked to two Chipotle restaurants, one in Kansas and the other in Oklahoma. The latest infection is the fifth linked to Chipotle since August, when more than 200 people were infected with norovirus after eating at one of its restaurants in Simi Valley, Calif., according to Food Safety News. The same month, more than 60 people got sick with salmonella poisoning after eating in one of 22 Chipotle restaurants in Minnesota. Then in October, the first cases of E. coli poisoning began to surface in the Pacific Northwest. All told, almost 500 people have been sickened after eating in a Chipotle in the last half of this year, according to Food Safety News. Investors, and presumably diners, are spooked by the continued health issues that have seriously dented Chipotle’s wholesome image amongst its fast(ish) food competitors; the company’s stock price is down 30 percent from its August high of $757.77.